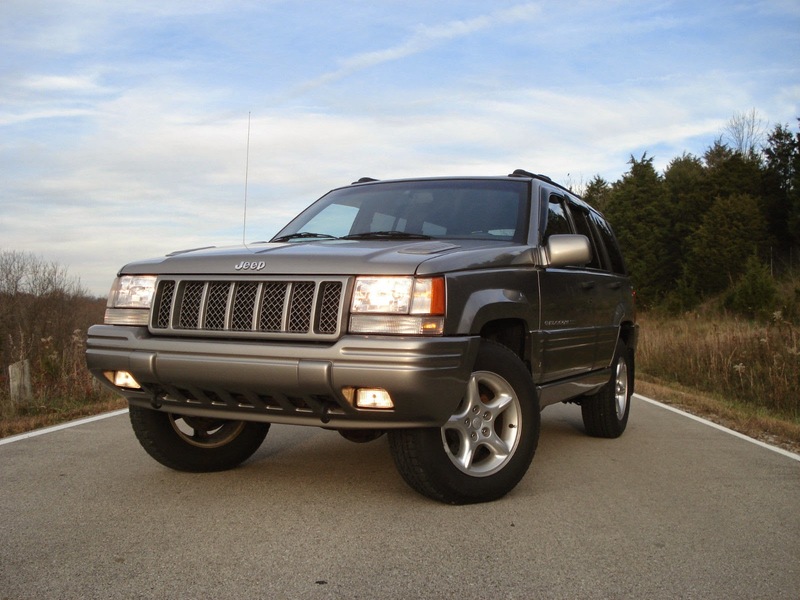 If you are going to get a mid-sized gas guzzler SUV, it may as well be a Jeep Grand Cherokee, and it should be the original ZJ generation (1993-1998) because the later Cherokees are plastic piles of Daimler-Chrysler era refuse. When new, the ZJ generation was exclusively driven by upper-middle class suburbanites who had kids but didn't want to be identified with poor people driving minivans (today these people drive BMW X5s, Lexus LX, Porsche Cayenne, etc) but a used one today can easily be afforded by even the filthiest of the unwashed masses. If you are going to drop a few coins on an ZJ, the only one to get is the model year 1998 only 5.9 limited. 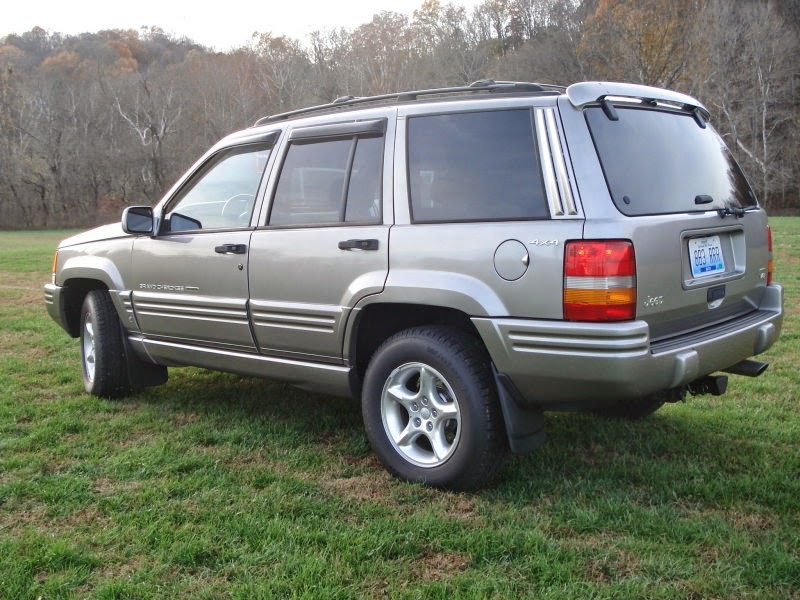 Find this 1998 Jeep Grand Cherokee 5.9 Limited here on eBay , currently bidding for $4,716 with 2 days to go. 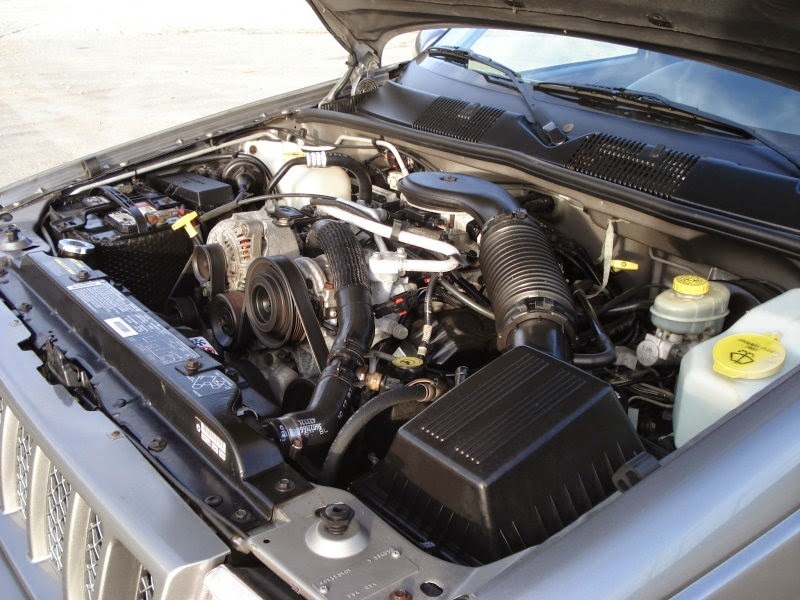 The Grand Cherokee with AMC inline-6 or 5.2 Magnum was not a bad car for off-roading or just cruising around, but when Jeep stuck the biggest Chrysler family engine (the 5.9 Magnum V8) this side of the Viper's V-10 in the front, it got even better. 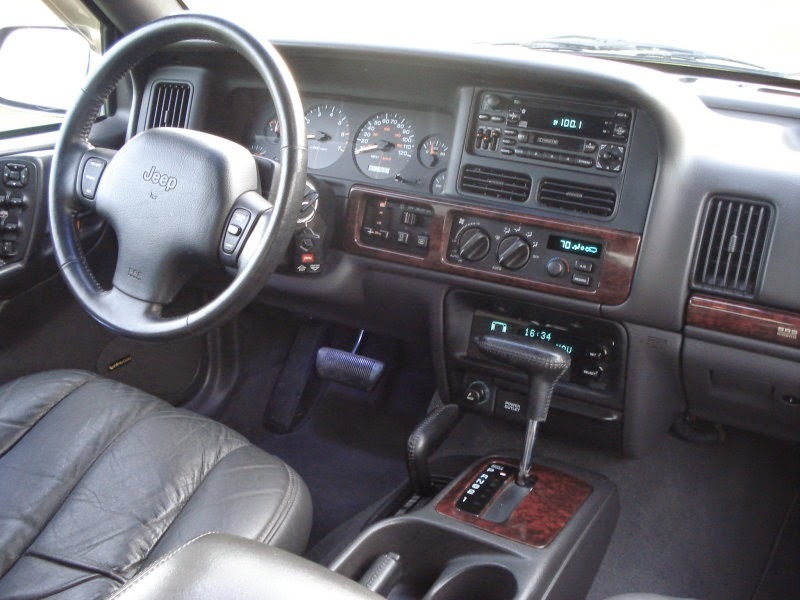 They also equipped it with a full leather interior (leather door cards and even the seatbacks of the front seats are leather), a 4-speed automatic transmission with selectable range transfer case and a set of wicked functional air vents into the hood. The 5.9 liter Magnum V8 was rated at 245 horsepower, which seems like a paltry figure compared to more modern cars, but equipped with all-wheel drive and 345 ft-lbs of torque, the 5.9 Limited scooted from 0 to 60 mph in just under 7 seconds. In 1998 that was fast, particularly for a mid sized SUV. The interior may have used a spattering of Dodge parts bin switches/gauges/buttons, but the seats and touch surfaces were all high quality leather, and even in this 125k mile example, still look decent. The best part about driving the 5.9 Limited is that it will be totally comfortable inside while flying under the radar and capable of hopping a few curbs or doing some light off roading. 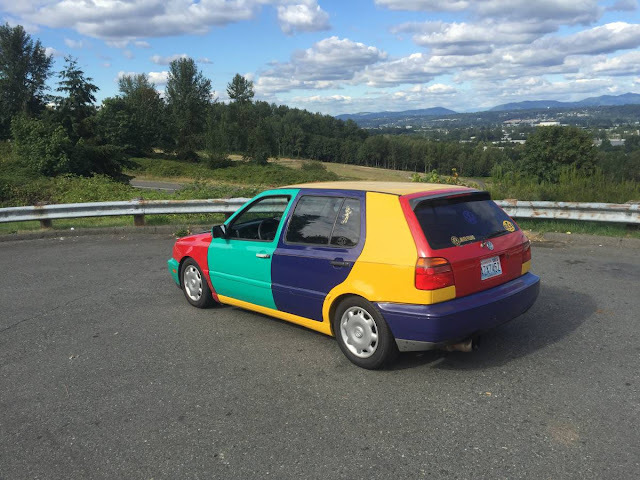 It is a perfect bank robbery getaway car...if you are into that kind of thing. Keep em coming, these are awesome. I will disagree with your statement that this is the only year to buy. I feel that the little H.O. badge under the 2004 V8 nomenclature has its merits. Big power, awesome sounds and she passes everything but a gas station. This was a slightly unknown option and could be had on a loaded limited (my preference) or the overland model. They had me at the cigarette lighter photo. Nothing means more to me than a virgin lighter. the first thing I think of when I see those tacky window shades is that it is a smoker's vehicle. Who knew they had other benefits. Check for a/c issues on these as well.